France forward Griezmann opened the scoring by punishing Andre Zambo Anguissa's poor touch to coolly slot home, then casually dinked in a second. 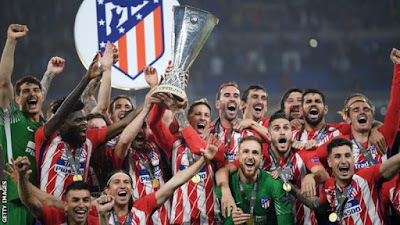 The outcome could have been different had Marseille forward Valere Germain taken an early chance, before Griezmann's lethal finishing allowed Atletico to take control. 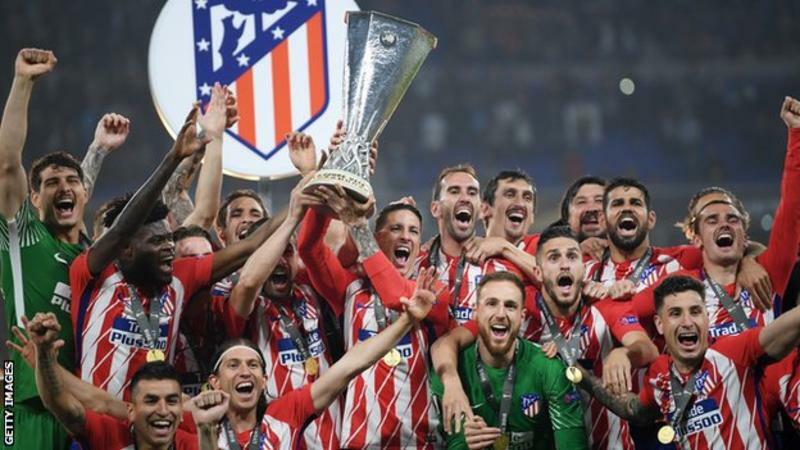 Atletico have been one of Europe's most consistent teams in recent seasons, breaking Barcelona and Real Madrid's stranglehold on La Liga by claiming the title in 2013-14. With manager Diego Simeone in the stands - serving a four-game ban for being sent off in the semi-final against Arsenal - Atletico repelled Marseille's early thrusts and produced a performance which has become a trademark under the Argentine. Griezmann's clinical double took his tally for the club this season to 30 before Gabi added the third as the Ligue 1 club tried in vain to breach a backline that has conceded just 33 goals in 58 games all campaign. "I am very happy," said Griezmann. "I have been working to experience such a moment for many years. I left home when I was 14 for that. We will celebrate. My family is here. "I don't know how to describe the finish, perhaps cold-blooded." Atletico conclude their league season against Eibar on Sunday, and it remains to be seen if that is Griezmann's last game for the club as he has been heavily linked with Barcelona.